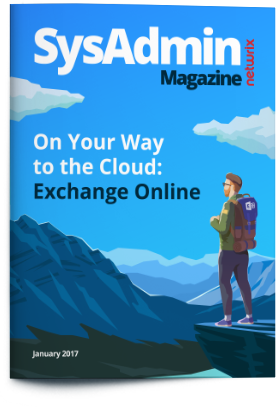 The January issue of Sysadmin Magazine focuses exclusively on Microsoft Exchange, both on premises and in the cloud. Get the most out of this powerful tool by using the special tricks and techniques carefully collected in this issue. 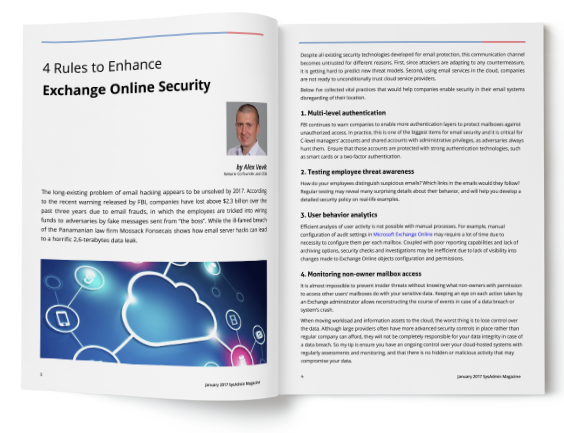 Discover the best ways to maintain system security, streamline routine tasks and optimize your Exchange environment.